It has become more and more important for clients to manage their funds one the move and to have access to their eWallet at any place, at any time. This makes for a strong reason to have a mobile app for reaching out to potential (and also existing) clients and therefore ecoPayz introduced the launch of their ecoAccount app in 2014. The ecoPayz app allows you to manage your digital wallet account and send and receive your funds to anyone, anywhere, at any time. 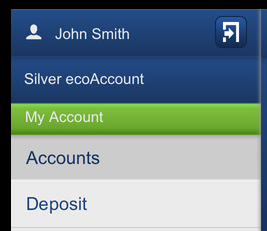 Getting stated with your ecoPayz Mobile App on your smartphone or tablet is easy. Just open the app and enter your mail address followed by your password. Clients who have installed the Two-Step Authentication need to enter their security code as well. We strongly recommend to activate this feature to massively increase your account security. Your ecoPayz App allows you to send money to any merchant or friend at any place and at any time with your mobile device. Just go to ‘My Account’ and open the ‘Transfer’ option from the menu to start the process. 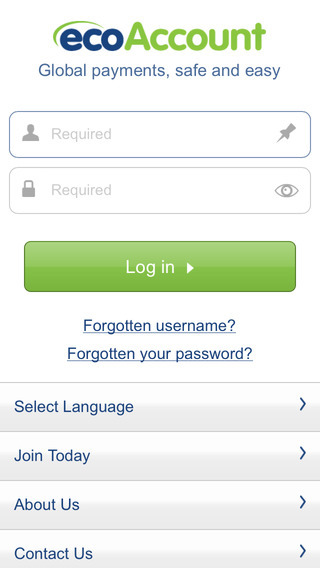 You now need to enter the name and account ID number of your friend to transfer the funds. Please keep in mind, the name has to be exactly the same as it shows in your friends account including a middle name if the account was registered with it. Otherwise the transfer will fail. Make sure to check with your friend to have the correct details available. 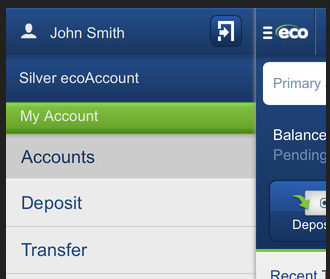 You also can deposit funds to your ecoPayz account at any time. Go to ‘My Account -> Deposit’ and choose your preferred deposit option. Depending on your country of residence the options may vary, but the standard deposit options like a bank transfer or a VISA card deposit should be available to almost all customers. ecoPayz also offers a free Bitcoin deposit for some countries. Check your account details to see if this option is available to you. To check your transactions and your account balance click on the ‘Accounts’ tab from the menu and choose an ecoPayz account to open the account history and see your account balance, including all past transfers. The ecoPayz app makes it quite easy and also comfortable to manage your funds on the move at any time with your smartphone or tablet. You will have access to all features from any place and at any time which makes to check your recent transactions or make some quick transfers for free to your friends. If you have any questions about the ecoAccount App or about our ecoPayz Bonus Program in general, please do not hesitate to contact us . Not registered with ecoPayz yet? 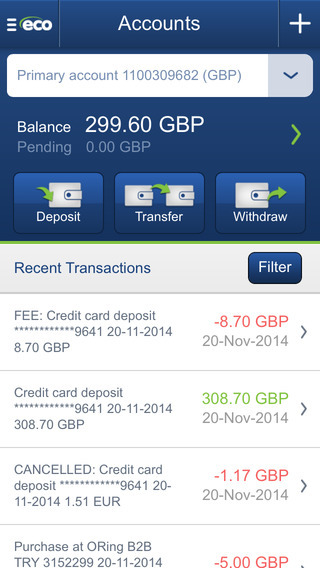 0.5-0.65% Cashback on your Transfers.